Cases aren’t just for phones. 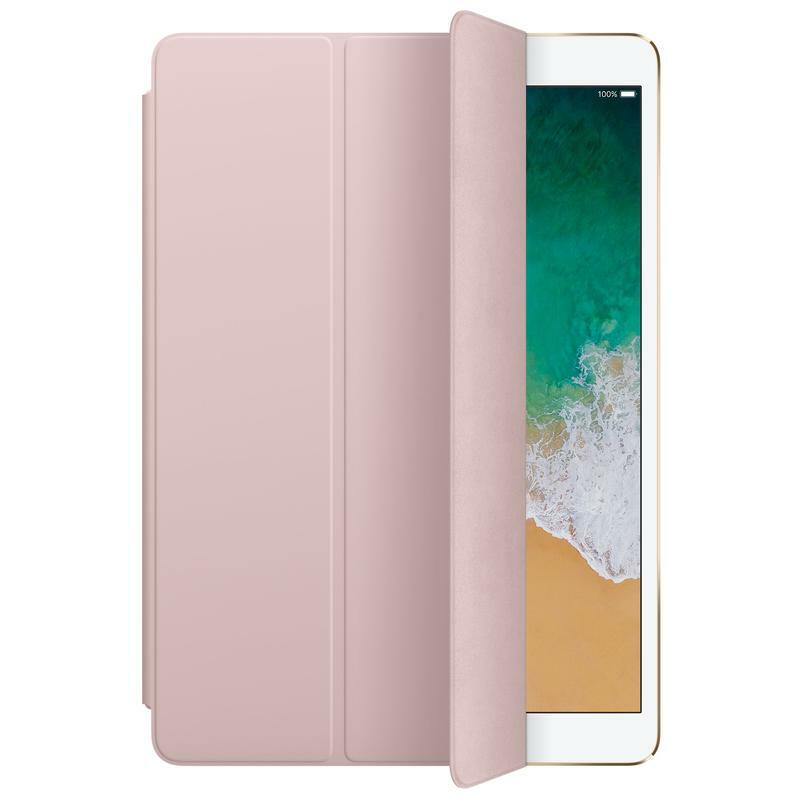 Plenty of them exist for Apple’s iPad Pro, and you can find one that serves a specific purpose in a style that you’ll love. 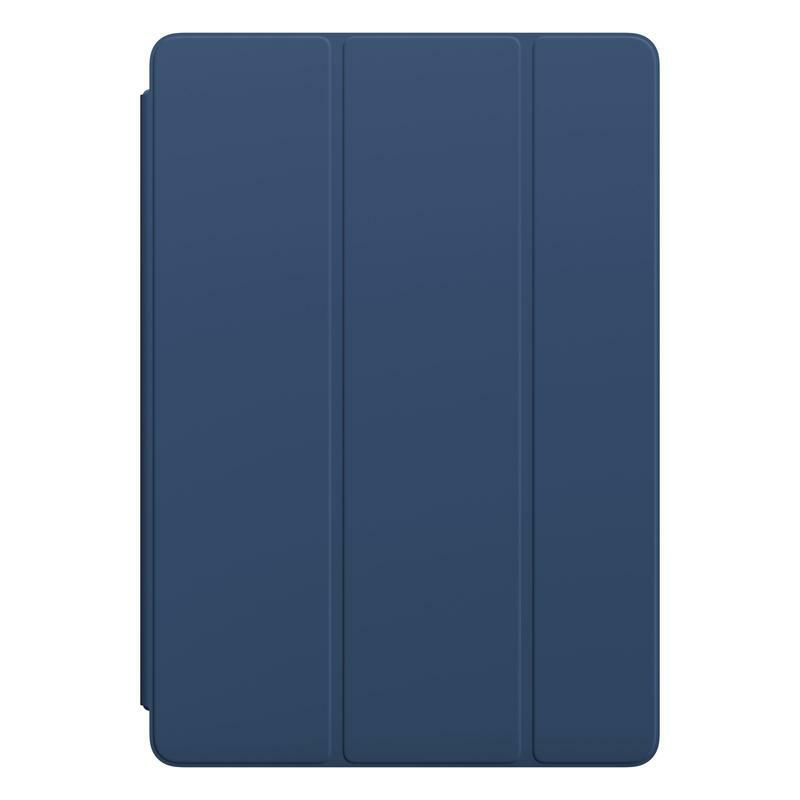 That way you get to maximize your iPad Pro’s potential while maintaining the look and feel you want. And it doesn’t have to be too expensive. 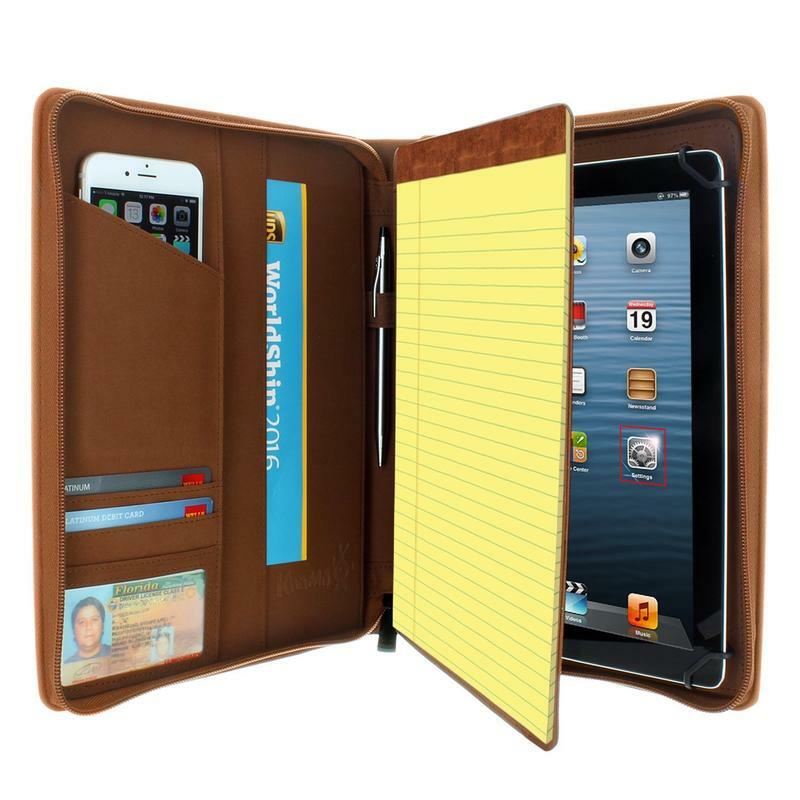 Just take your time to find the right case whether you need style, protection, versatility, or a mix of everything. 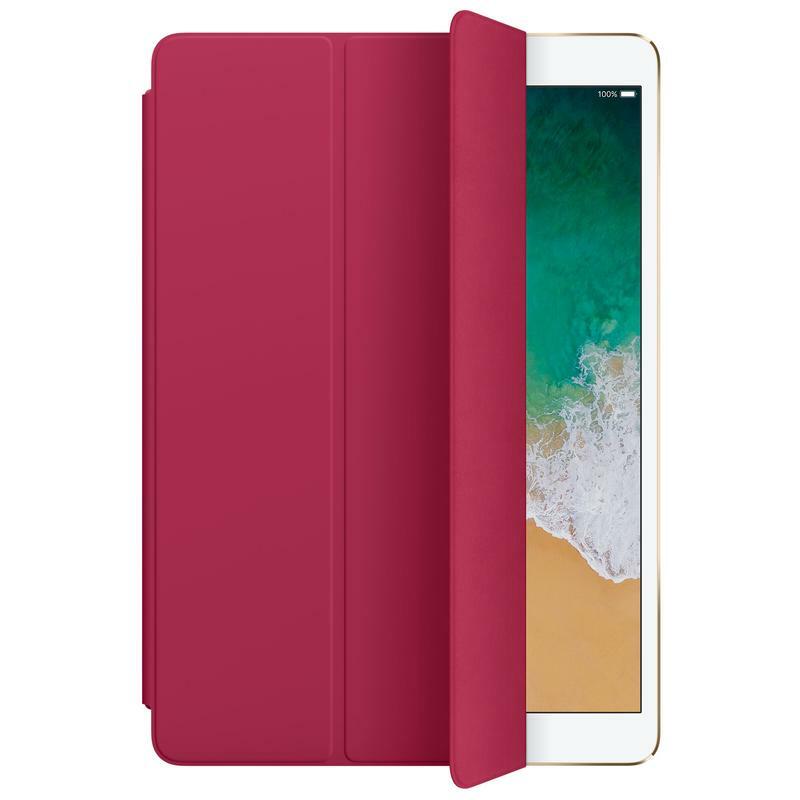 Here are some of the best cases for the iPad Pro 10.5 available today. EasyAcc doesn’t only make chargers, batteries, and speakers. Part of the word “accessory” is in its name, and that includes cases. 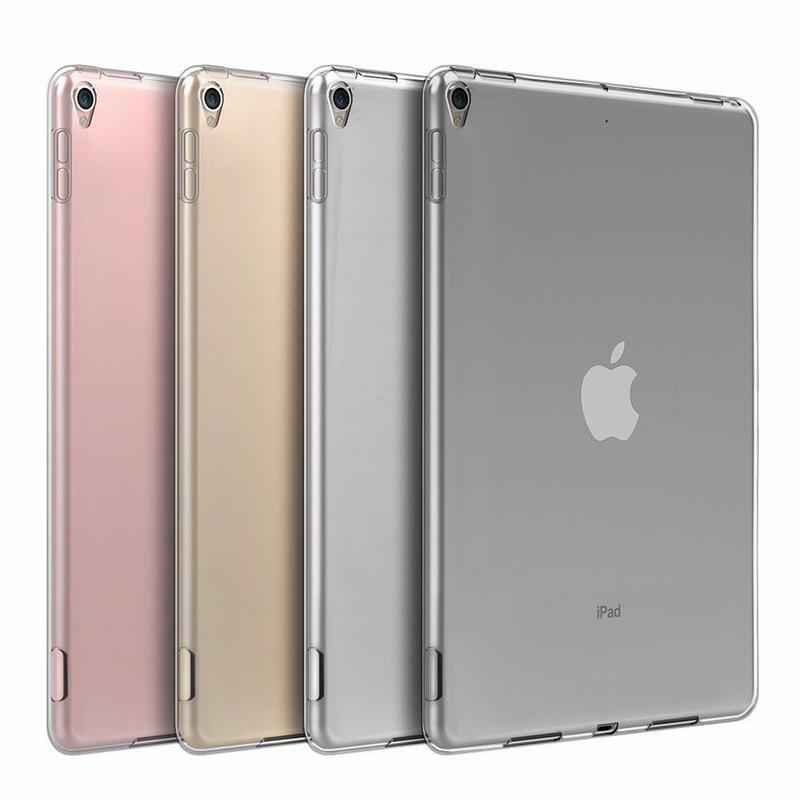 The brand’s Crystal Clear case for the iPad Pro doesn’t hide anything about Apple’s stunning design. 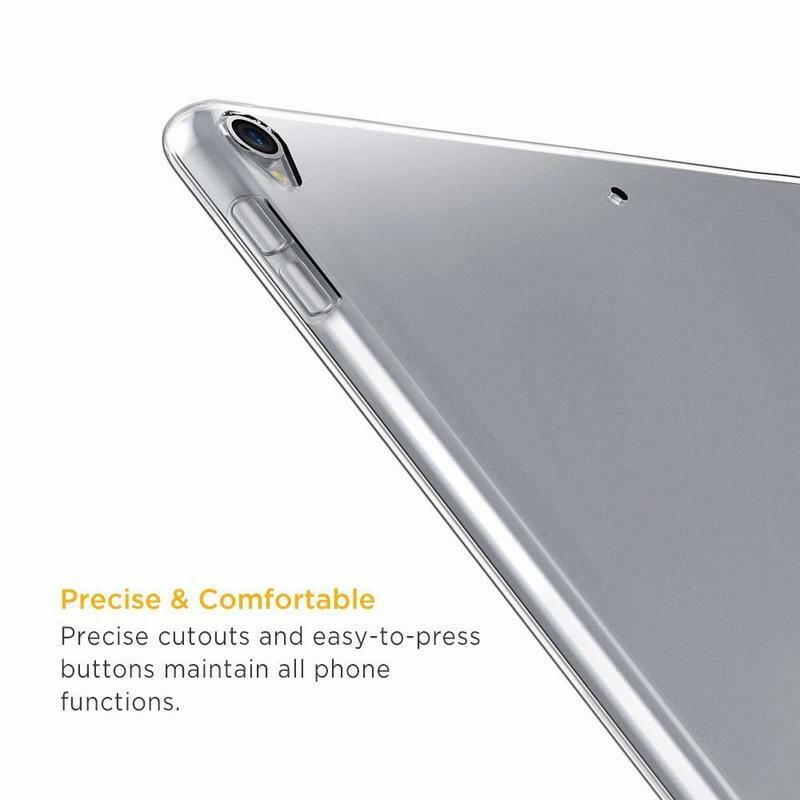 Since it’s see-through, your iPad Pro’s body always remains visible. That’s exactly what you want after spending well above $650 on this iPad. 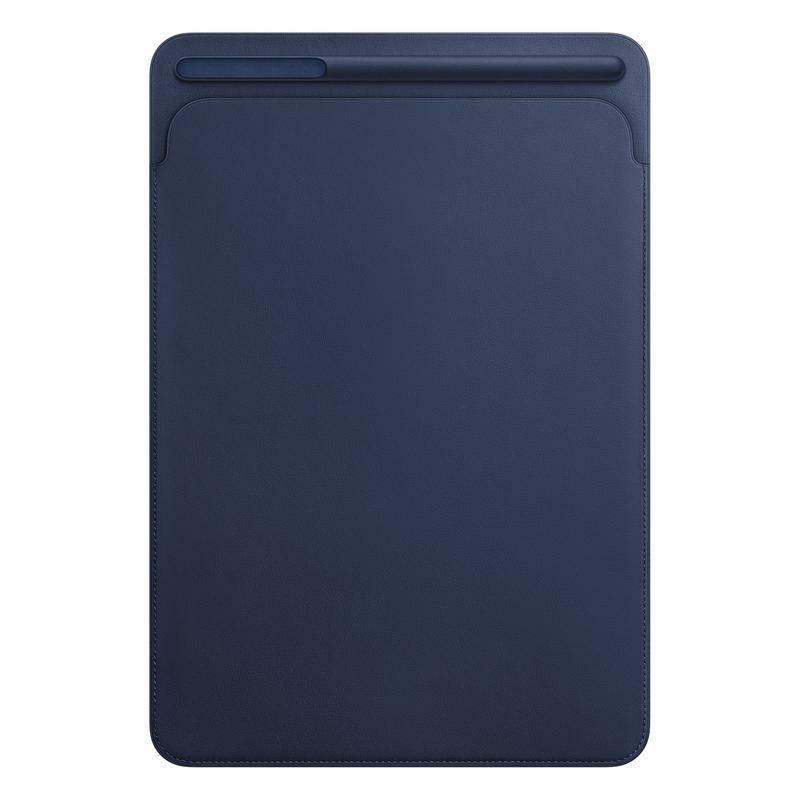 The case itself is made from a high-quality thermoplastic polyurethane (TPU), which is essentially rubber. 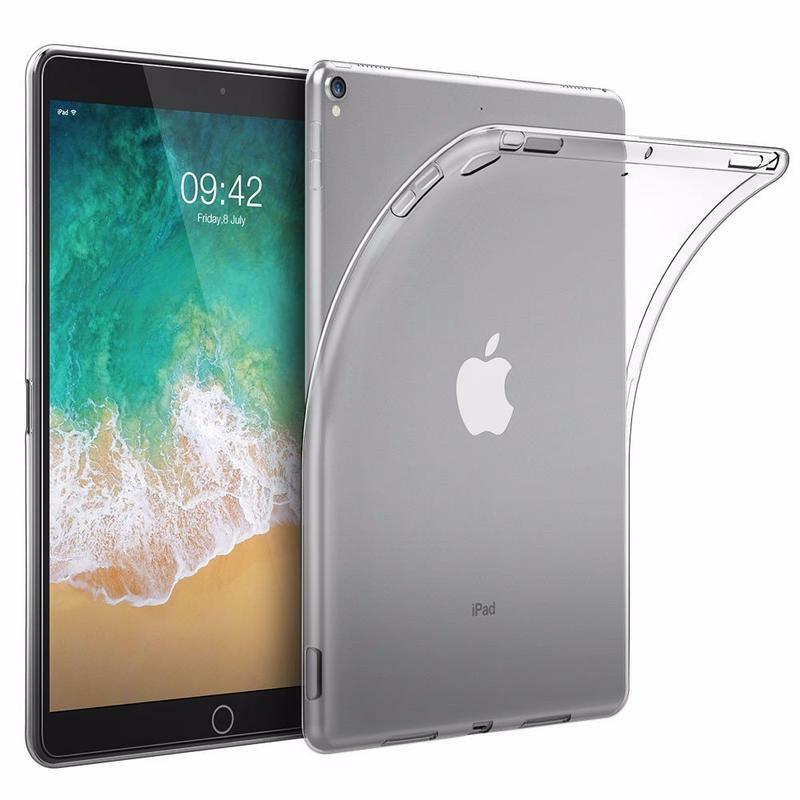 EasyAcc’s Crystal Clear case will allow your iPad Pro to take a bump with little-to-no damage sustained. Keep in mind, though, it’s not really suitable for drops. 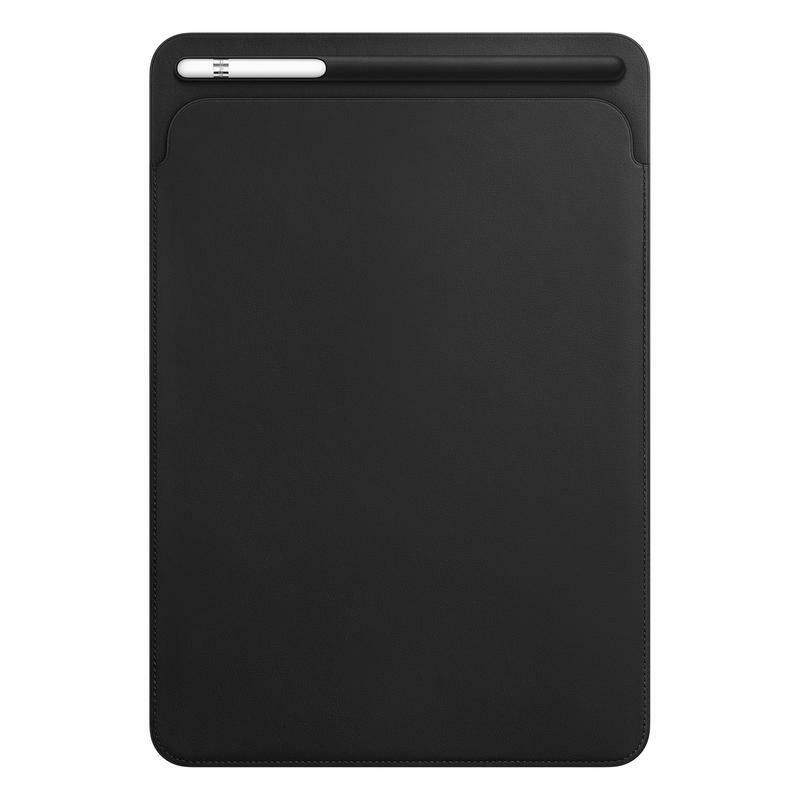 What’s great about this case is its simplicity. 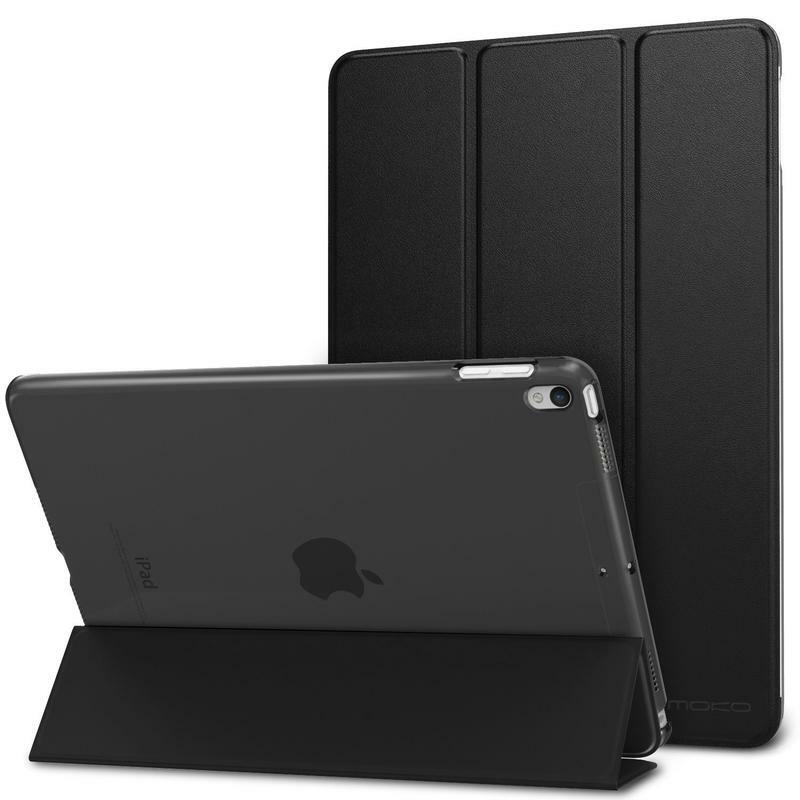 While you get decent protection, you’re not hiding your iPad Pro in a bulky case. 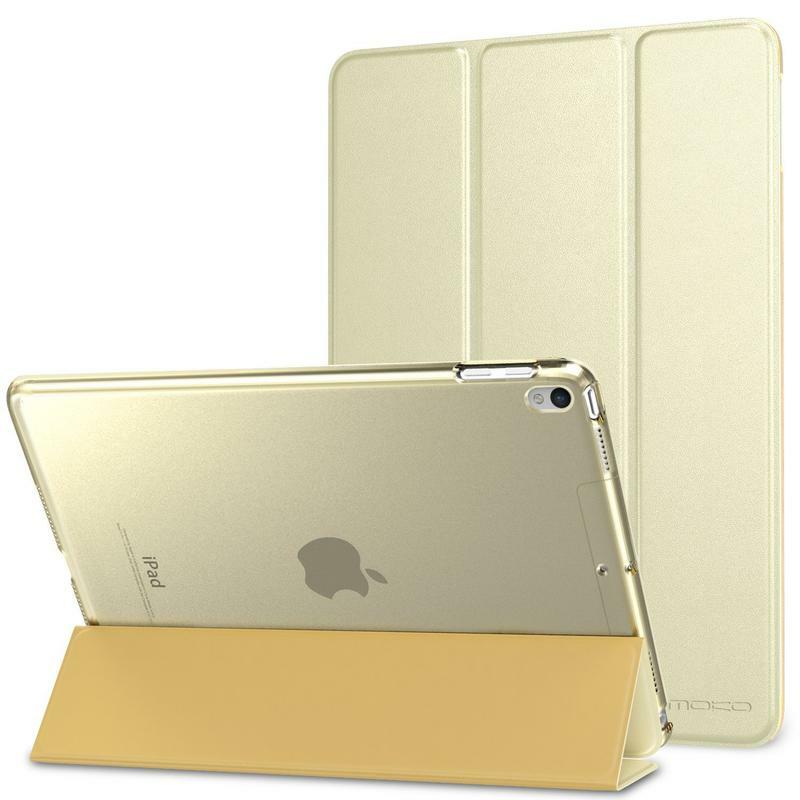 The Smart Cover case is for Apple’s customers who want reliability. 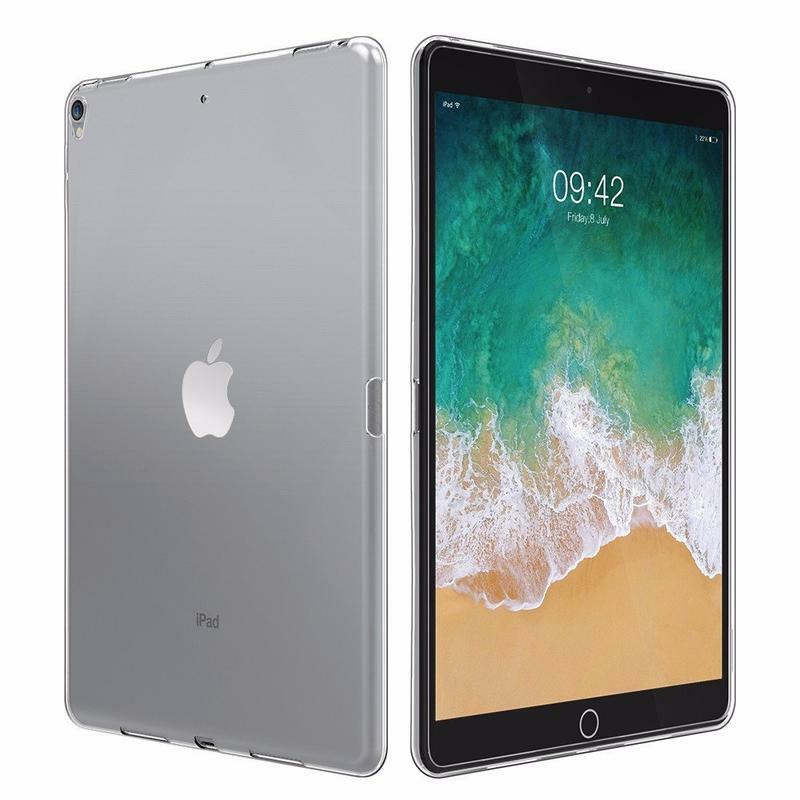 It’s not priced too high, and you’re getting additional functionality. 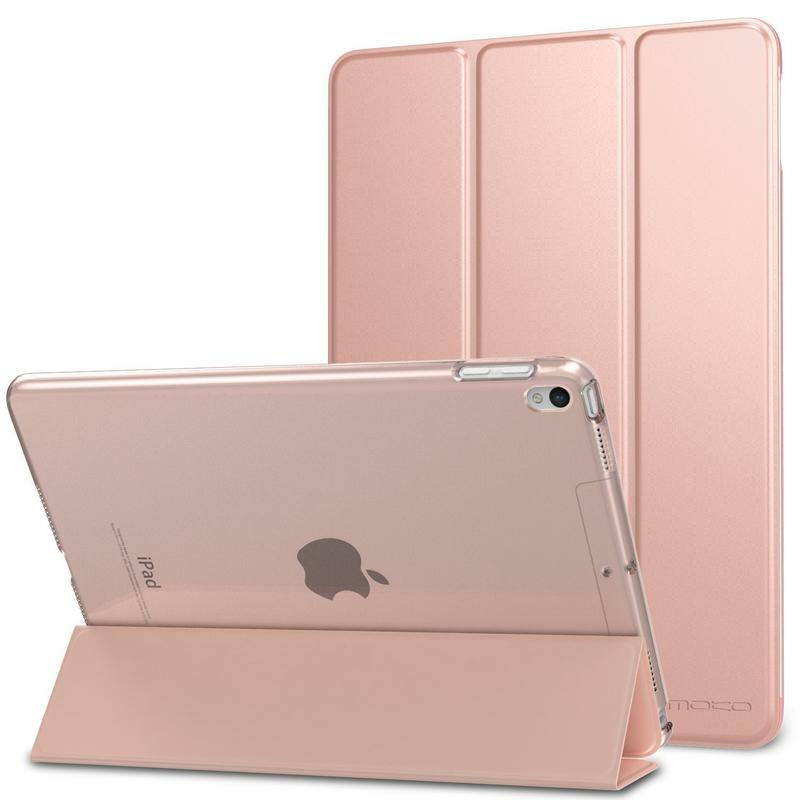 Apple also lets you choose from an assortment of eight colors so that your iPad Pro matches your style. 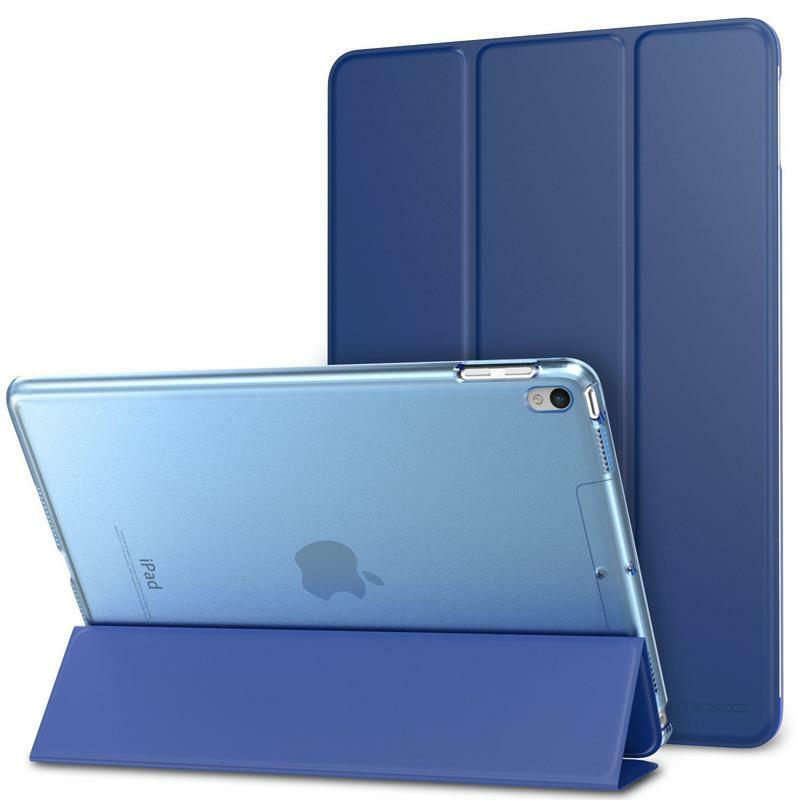 It covers the front of the iPad Pro while offering a variety of positions. 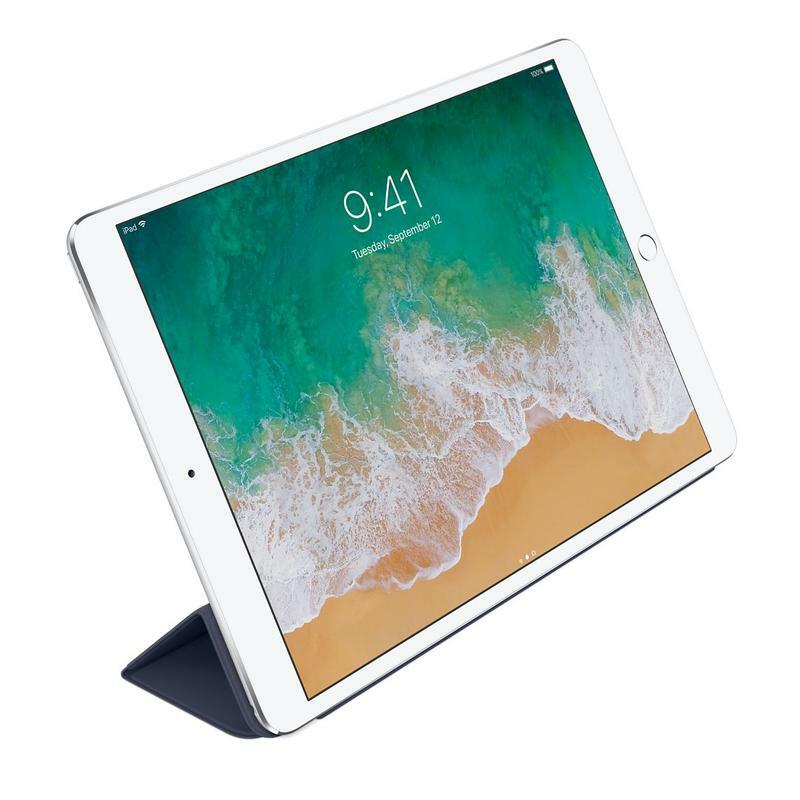 Your iPad Pro can be propped up for optimal viewing or slightly angled above a surface for comfortable typing. Apple sells the Smart Cover case for $49, a fair price considering the company always uses premium materials. And you can’t say the ability to quickly convert your iPad Pro between different angles is anything but useful. 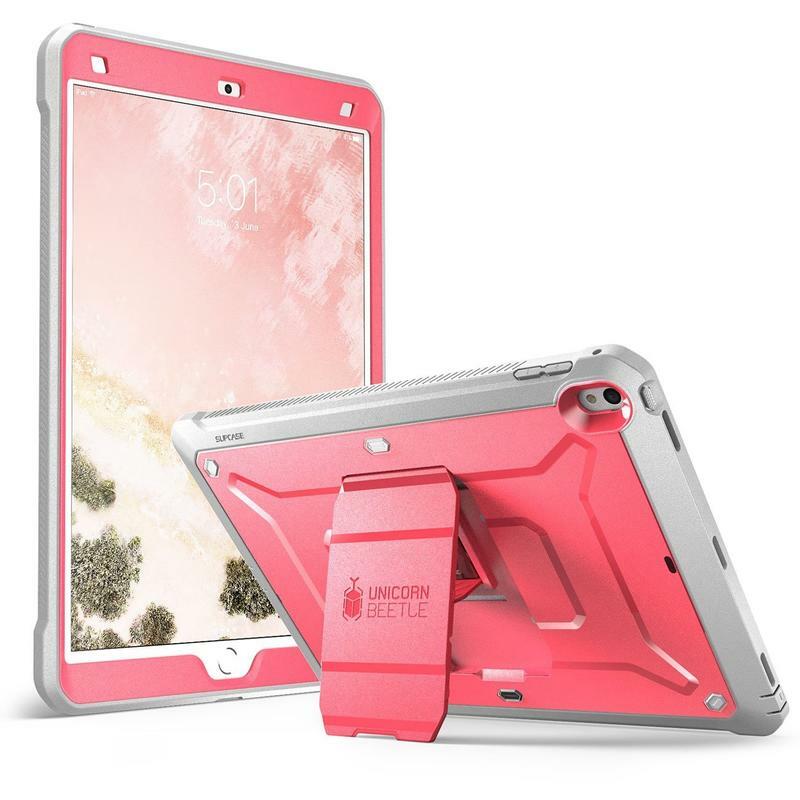 Whether you’re clumsy or straight-up paranoid, pick up SUPCASE’s Unicorn Beetle Pro case for the iPad Pro. 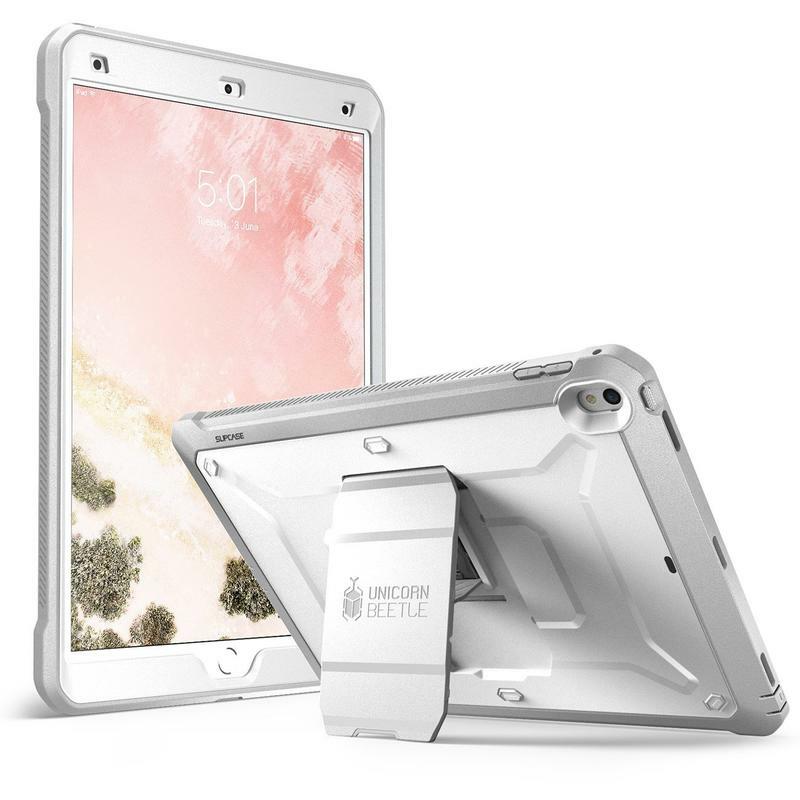 It’s total protection for a tablet you dropped big bucks on. 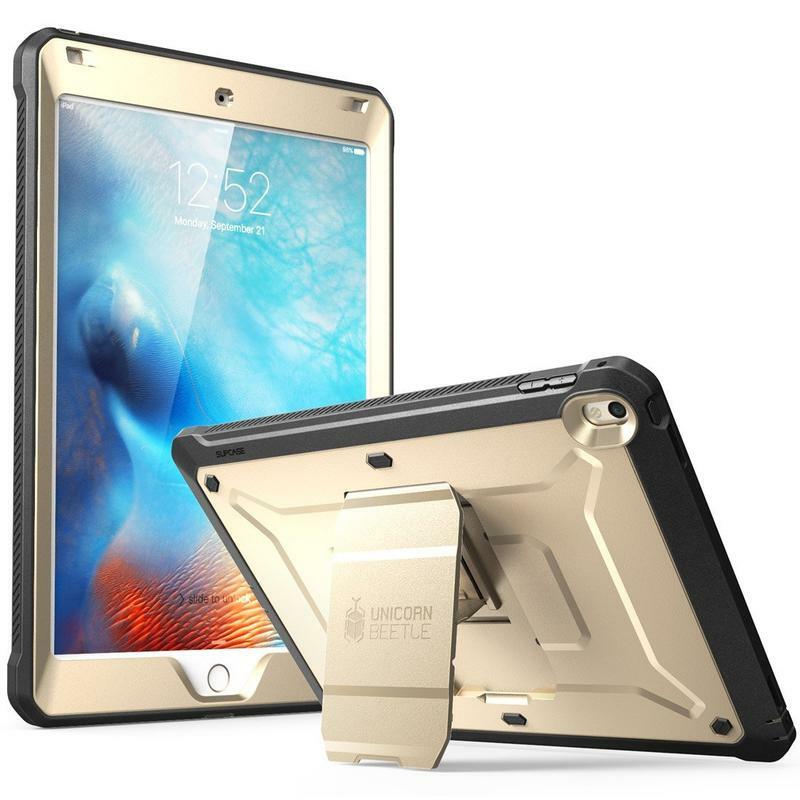 The case includes a rugged construction with a kickstand as well as a built-in screen protector. 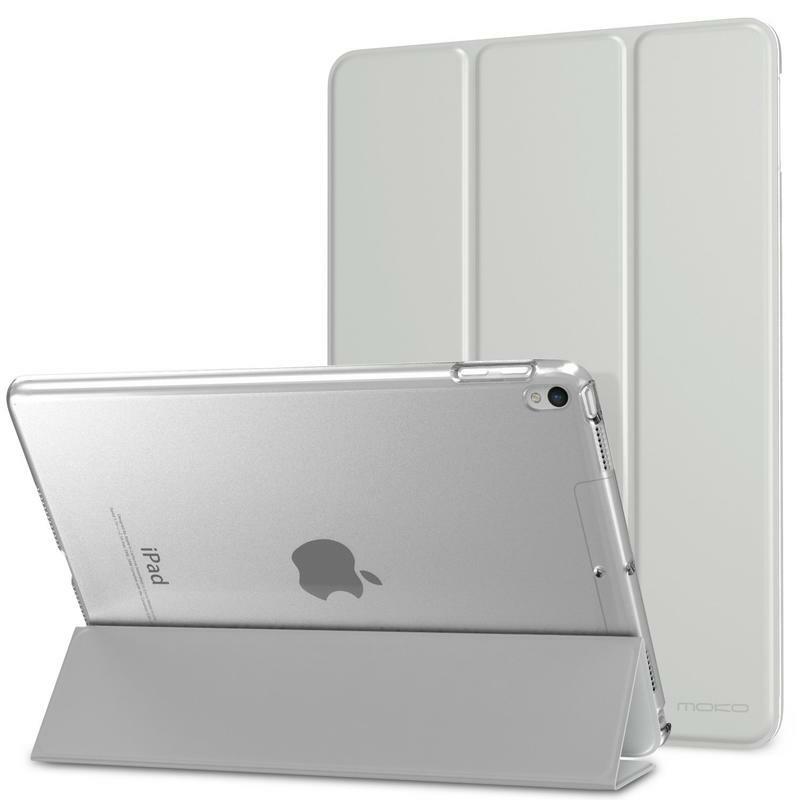 Durability is clearly important as SUPCASE uses a dual-layer design to absorb shock and resist scratches. 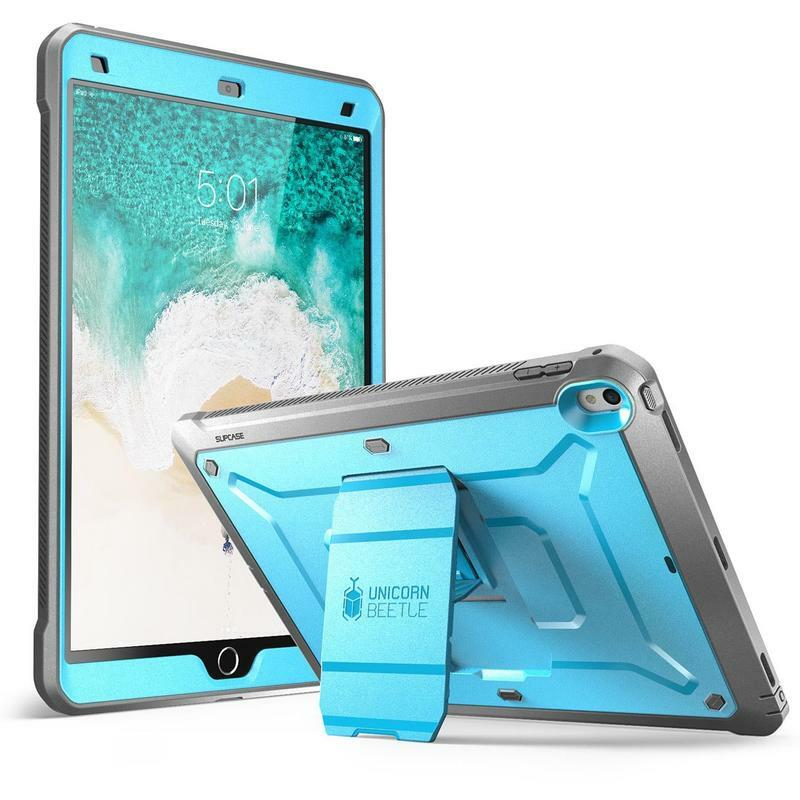 Your iPad Pro should remain in mint condition for months (and possibly years) to come with the Unicorn Beetle Pro case. 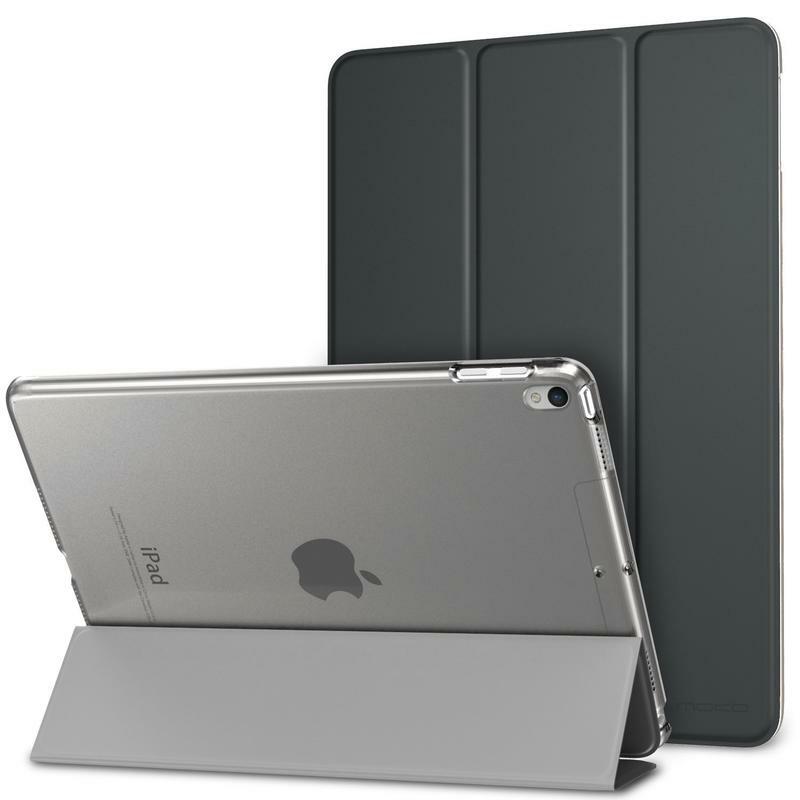 The iPad Pro blurs the lines between laptops and tablets, so maybe get a case that makes it even more versatile. 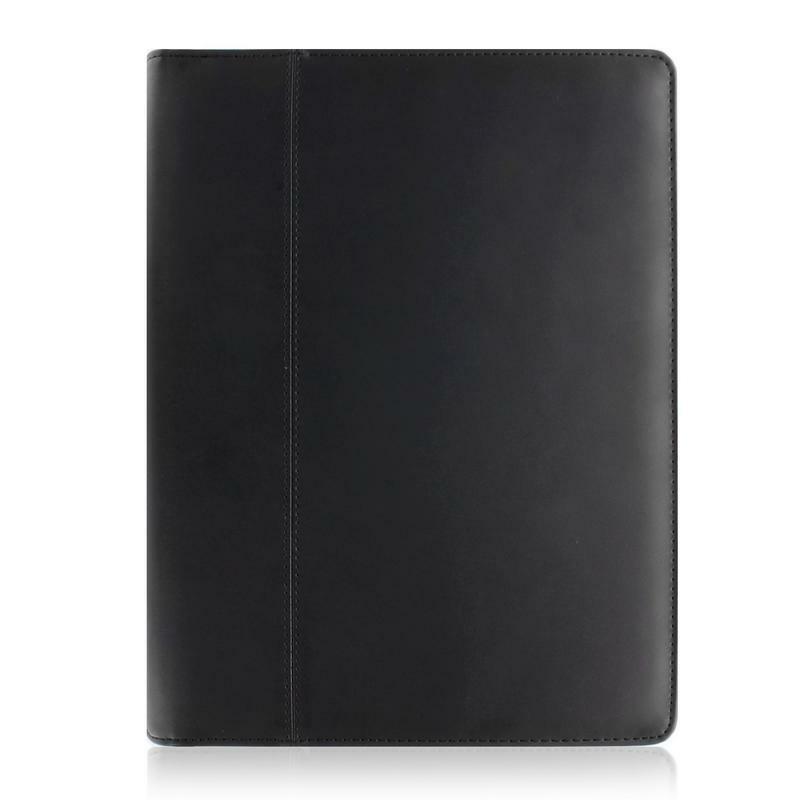 KHOMO’s Padfolio case is leather-based and stores your iPad Pro alongside a notepad and a bunch of pockets. 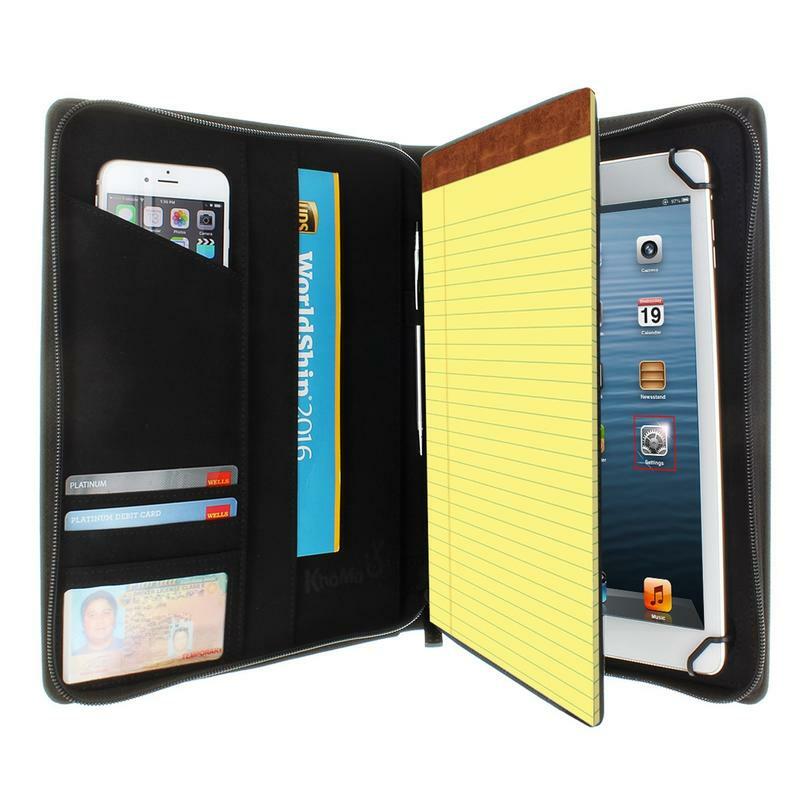 It basically turns the case into a wallet or purse since you can also store papers, business cards, pens, and more. 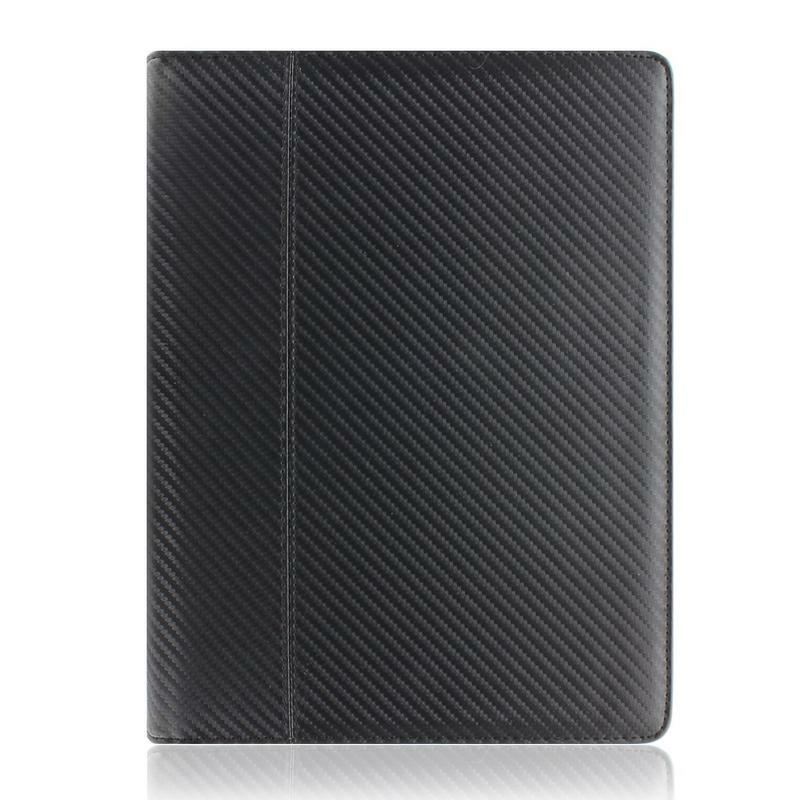 With the Padfolio case, you won’t have to carry so many things at once. 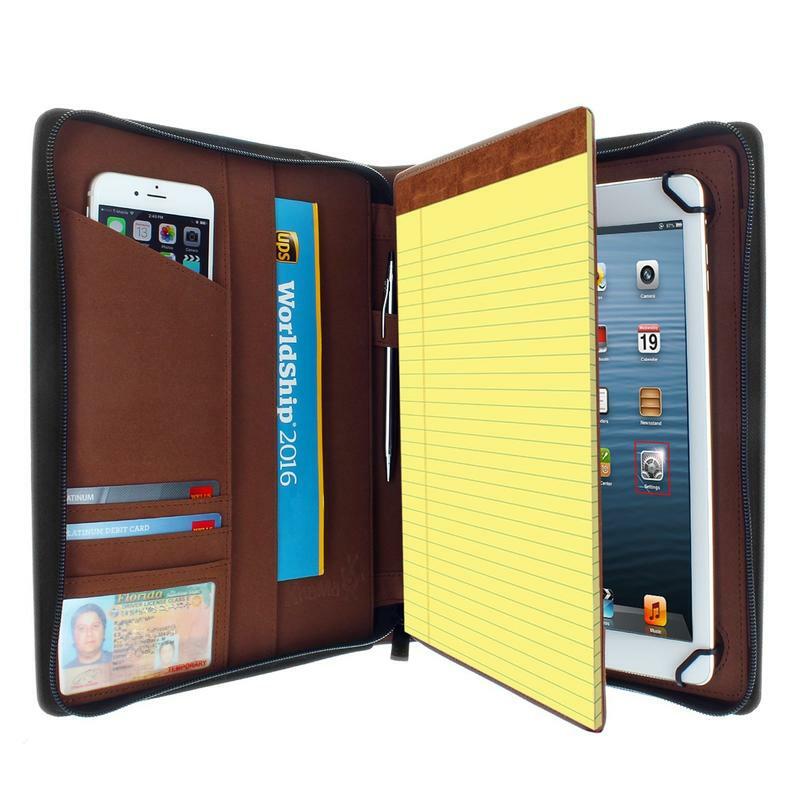 Put your iPad Pro in there, add a notepad, and start slotting your money and small office supplies. 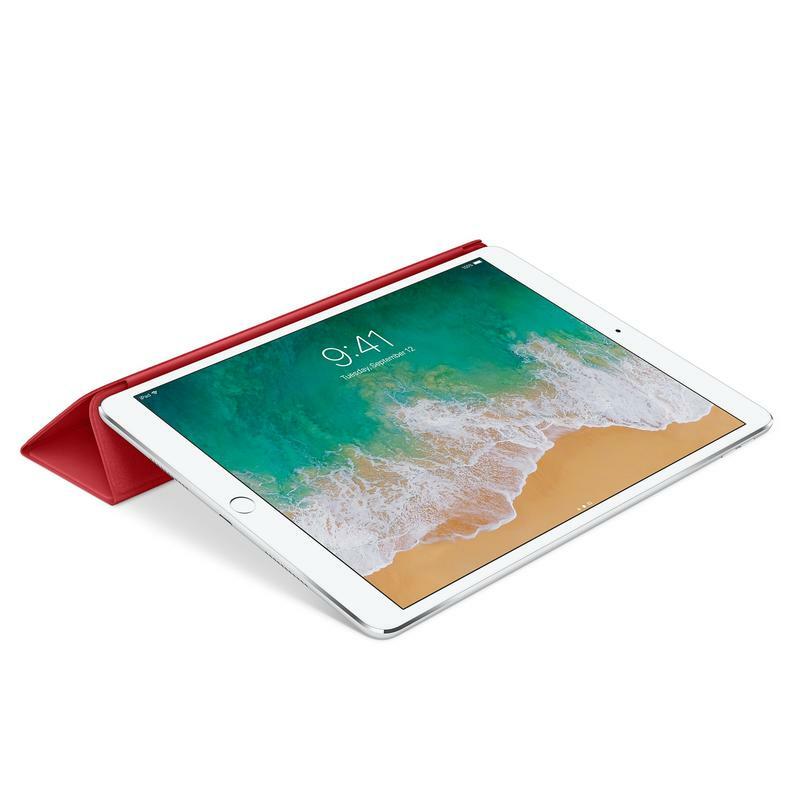 Now you’re ready to easily take the iPad Pro with you from home to work without switching bags. 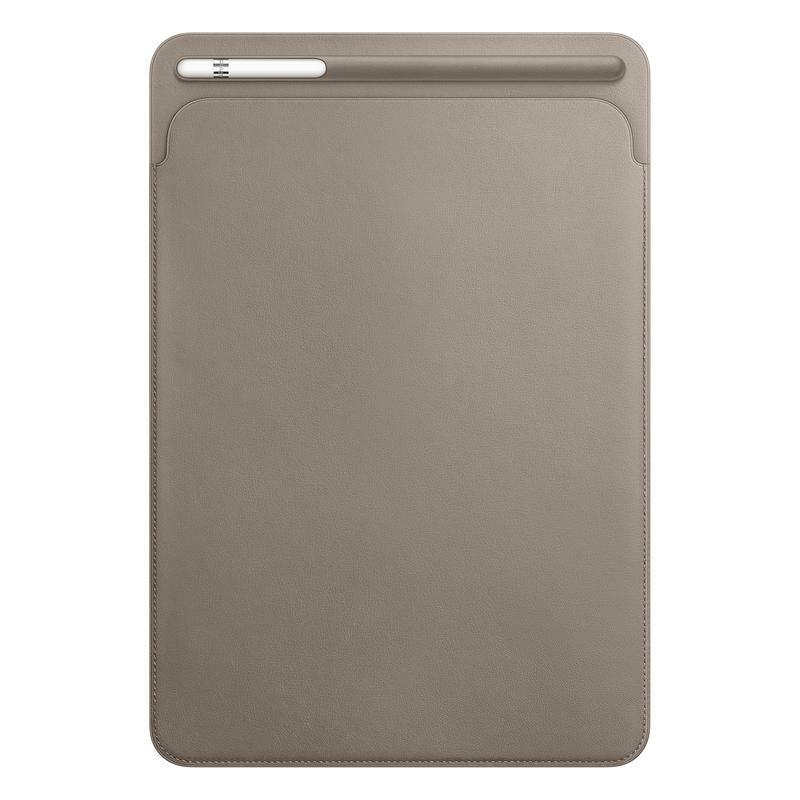 Apple’s Leather Sleeve case for the iPad Pro protects your tablet during storage but then frees it when in use. It’s more of a sleeve than a case, as you can tell by its name. 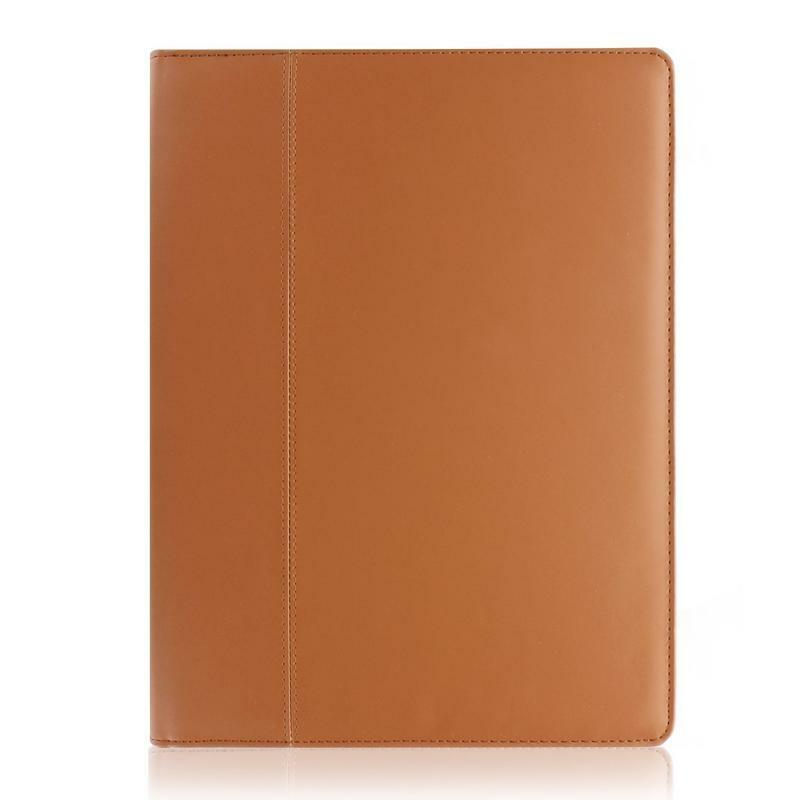 So the Leather Sleeve case is perfect for when you’re carrying your iPad Pro around and then set it down to start getting stuff done. 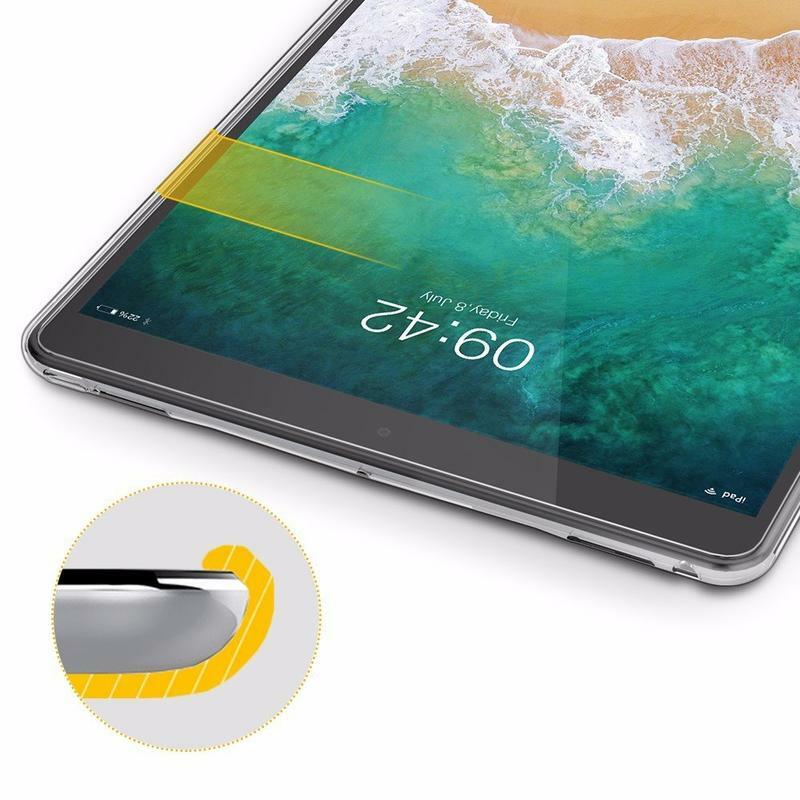 It’s also a handy case if you have the Apple Pencil. 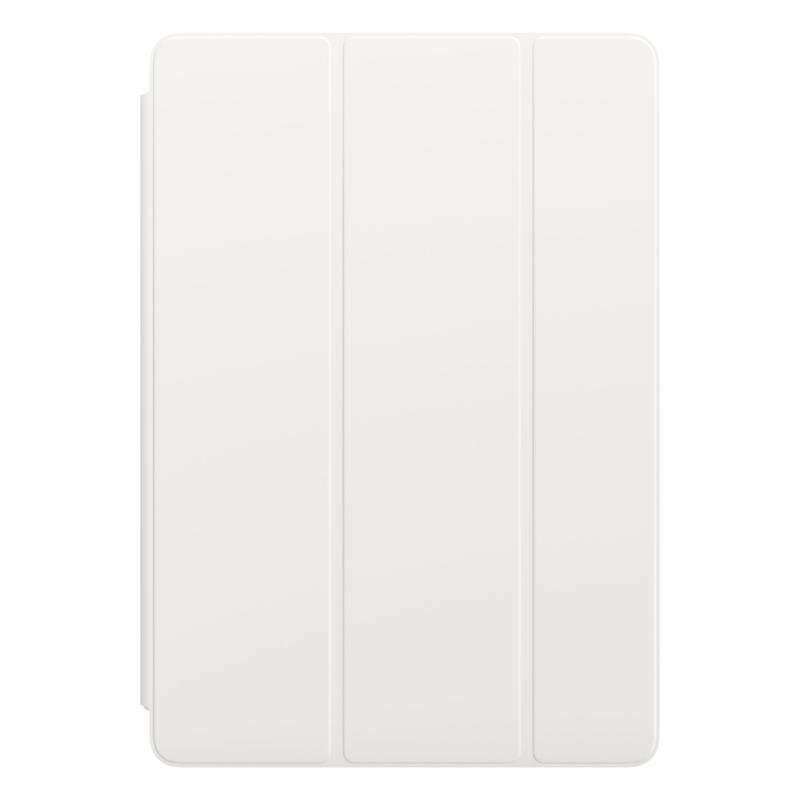 The stylus made specifically for Apple’s iPad can be stored in a dedicated slot at the top near the opening. You can get the Leather Sleeve case in a color matching your other Apple products. 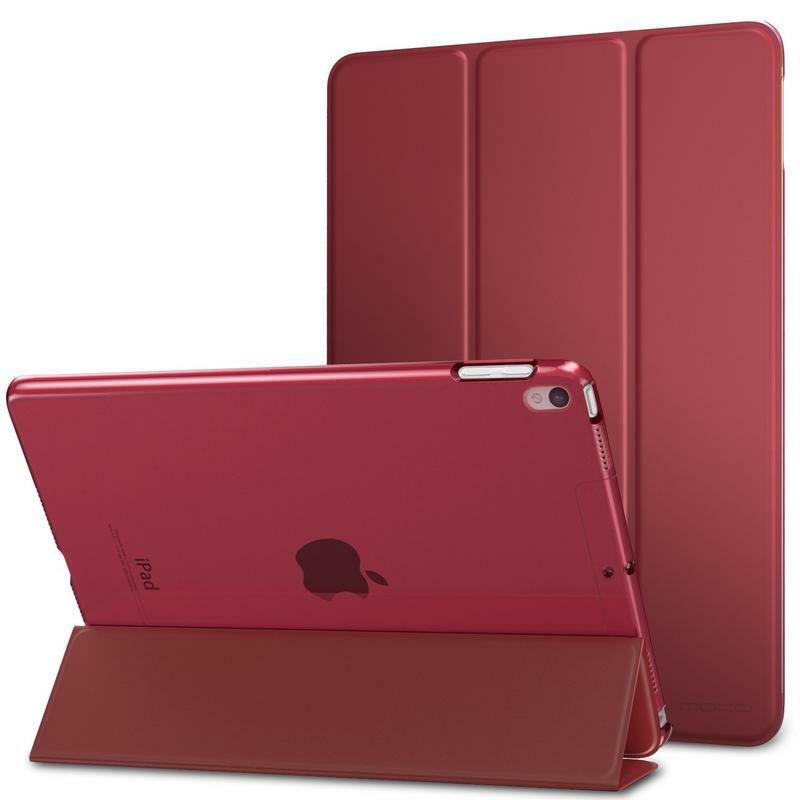 Apple sells its hardware and accessories in colors that match or mix well because no one enjoys looking like a mess. 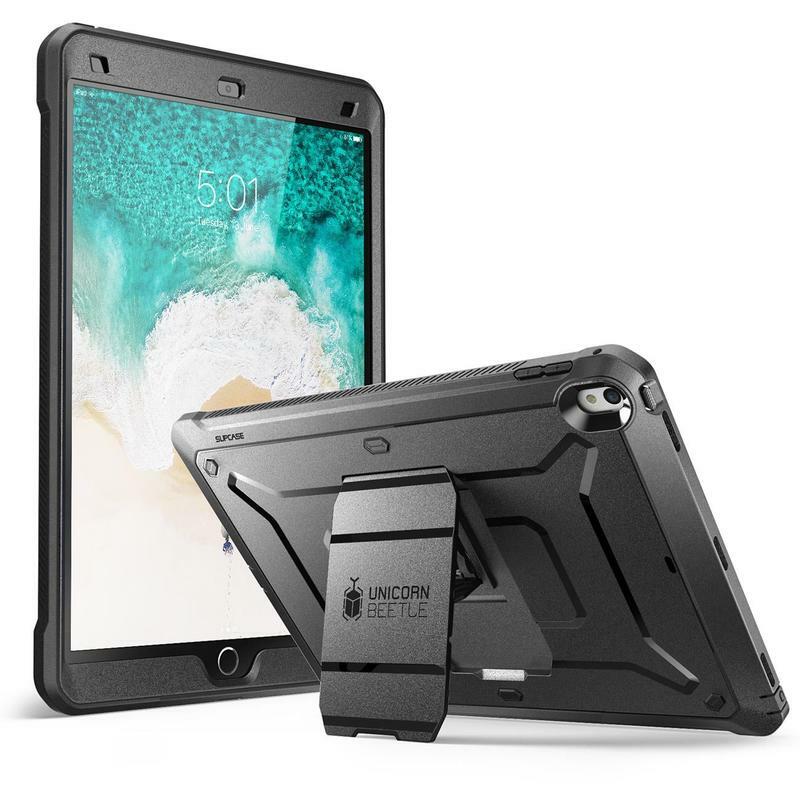 MoKo’s Shell Stand Cover case shields both the front and back of the iPad Pro, acts as a stand, and doesn’t leave you broke. 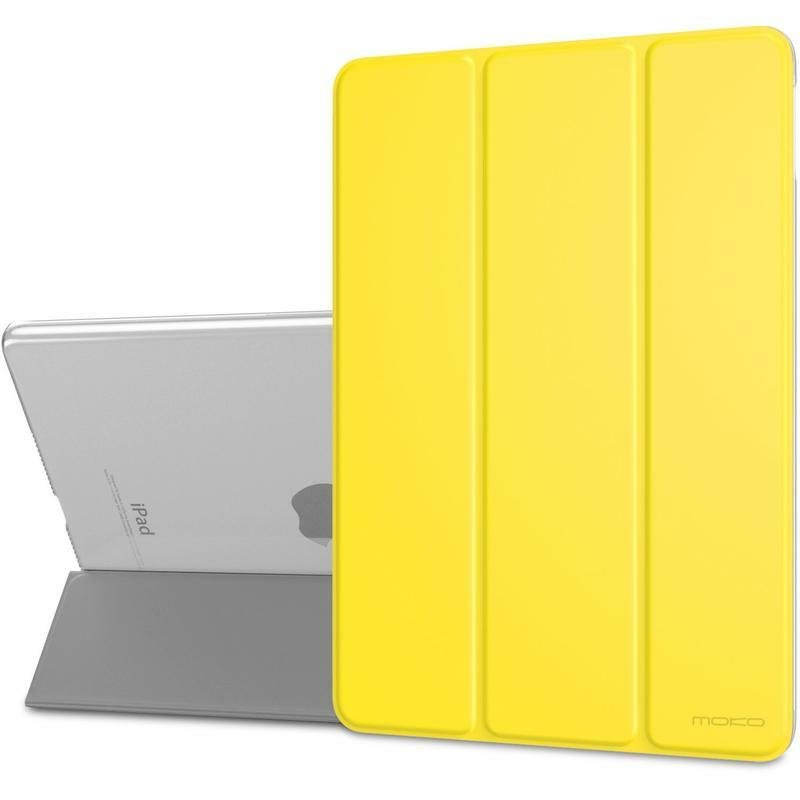 Unlike the Smart Cover made by Apple, the Shell Stand Cover case features a two-piece design. 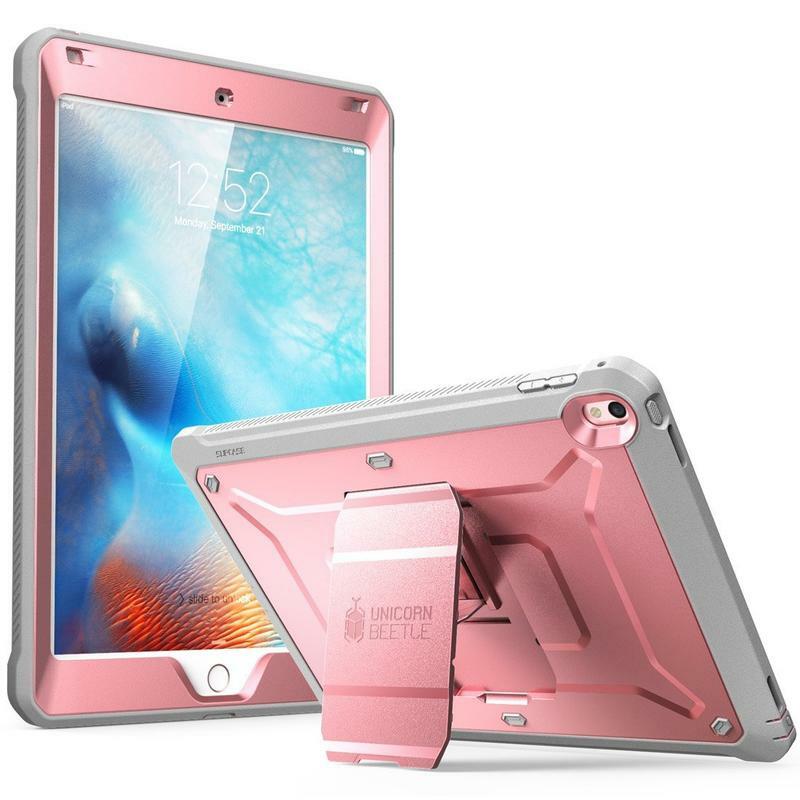 It has a cover for the iPad Pro’s display that doubles as the kickstand, but it also has a hard shell for the tablet’s body. Your iPad Pro gains functionality and protection in a single case. 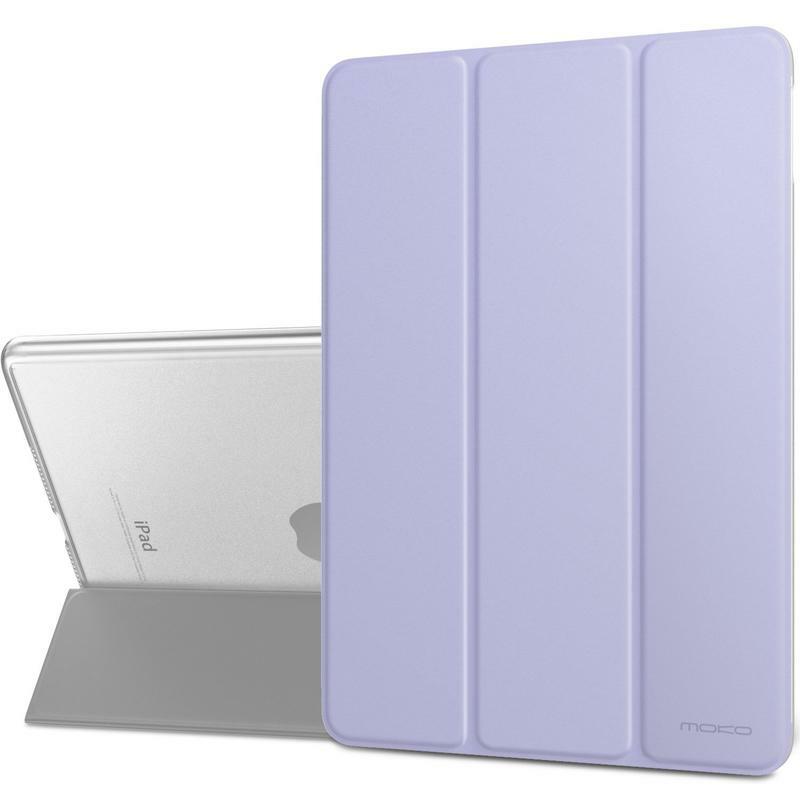 When you see the price, there’s little reason to skip MoKo’s two-in-one. The case costs less than $15 and is sold in a vast number of choices ranging from colors to designs.